Is it any wonder that Atal Behari Vajpayee will go down in history as one of India’s greatest leaders, as possibly the only man who could have managed the sort of coalition that he did? Someone I know – and someone who knew Atal Behari Vajpayee well – perceptively remarked that a person who met the former Prime Minister even once, even if it was for a few minutes, came away with something to treasure. It may have been a memory of the twinkle in his eye or of the warmth in his smile or indeed of the way he clasped your hand; it may have been any of a dozen things that were so endearing, the words he spoke, the disarming intelligence he possessed or the essential decency that was a part of him and made you believe that even if it was for a brief moment, the man was utterly and completely focussed on you. But it wasn’t a political skill. It was a human trait and let me narrate a short story to make the point. Soon after the 1984 election results that reduced the BJP’s presence to two seats in Parliament, I was sipping tea with a friend, Ashok Mubayi, a former IAS officer who had been Mr Vajpayee’s Special Assistant when he was External Affairs Minister in Morarji Desai’s government. We were at Ashok’s office in Parliament Street. On an impulse, Ashok said to me: “Chalo, Atalji se mil ke aate hain (Come on, let’s go and meet Atalji)”. I demurred, for although I had covered several of Mr Vajpayee’s public rallies as a reporter, I did not know the man and felt it would be an imposition to tag along with someone who knew him well and wished to commiserate. But Ashok was insistent. He telephoned Mr Vajpayee, was asked to come over immediately and so we drove to his house (he then lived near New Delhi’s Press Club). The house looked deserted and when Ashok rang the bell, Mr Vajpayee answered the door. He welcomed us in and for the next two hours or more, Ashok and he talked about politics, governance, films and books. When Mr Vajpayee learnt I was a reporter and had just returned after covering the election campaign in Andhra Pradesh for over a month, he was curious to know my views on what N T Rama Rao had done to buck the Indira wave. He was especially keen to know how his parliamentary colleague of many years, P V Narasimha Rao, had lost from Hanumakonda (considered a safe seat for the Congress). I described to him the utter poverty and deprivation I had seen in the constituency, the complaint of voters that Mr Rao had neglected them and said the election outcome had not surprised me. I had no occasion to meet Mr Vajpayee for the next 17 years, having moved to Singapore a couple of years later, returned to a desk job with the paper in Delhi in 1991, and then having been transferred to Kolkata in 1994. In March 2001, I was to be elected chairman of the Asia News Network and it was decided that the annual meeting would be held in New Delhi. A conference rather innocuously titled “Role of the Military in Asian Democracies” was organised at Vigyan Bhavan. 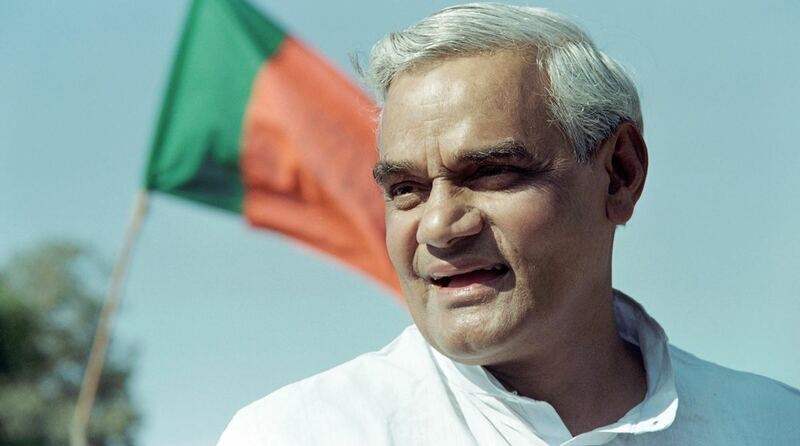 Prime Minister Vajpayee was invited to deliver the keynote speech and later speak for about 20 minutes to editors of the alliance from around Asia over a cup of tea. A couple of days before the event, news broke of a defence scam involving the then president of the BJP and our boring topic began to seem ominously prescient. The Prime Minister’s Media Adviser and a former colleague, Mr H K Dua, called me up to say he feared Mr Vajpayee might find it too controversial a subject in the context and that I should be prepared for a last-minute cancellation. To Mr Vajpayee’s credit, he decided not to bail out and thus on the assigned date, it was my privilege as the host to welcome him at the VIP entrance of Vigyan Bhavan. Because his knee was by then giving him considerable trouble, a two-minute walk to the plenary hall took us more than a few and I had a chance to exchange pleasantries. As we were about to enter the plenary hall, he stopped again and said to me in Hindi that I should inform the visiting Editors he would not take any questions. “Bas mein mil loonga aur tum mere kaan me bata dena kis pe zyaada muskurana hai. (I will only meet them, and you whisper into my ear who I should smile more at. )” When I said this may be a little difficult as all of them had prepared questions for him, he smiled mischievously at me but did not respond. With some trepidation about how I might hold back a group of senior Asian editors straining at the leash to question the Indian Prime Minister, I accompanied him to the room where the interaction was to take place. Mr Vajpayee turned the charm on by recounting a story about each country whose editor he was introduced to. Ten editors were introduced, twenty minutes passed, and it was time for him to leave. Not one question had been asked. As I walked him back to his car, he looked at me with child-like glee and said, Sab theek-thaak ho gaya? Tumhare mitra sab khush the (Did it go off well? Were all your friends happy?) Is it any wonder that Atal Behari Vajpayee will go down in history as one of India’s greatest leaders, as possibly the only man who could have managed the sort of coalition that he did? Is it any wonder that eyes of even cynics were moist today when news of his passing broke? For the lesson of his life, one that others would do well to learn, is that even in a business as dirty as politics, it is possible to remain human and get your way.